At Mercy, tech serves instruction. But for everyone to be able to leverage an extraordinary tool like the iPad, some “summer school” is necessary. For the past two weeks we have been busy serving our teachers and new students with some tech support before school officially begins. 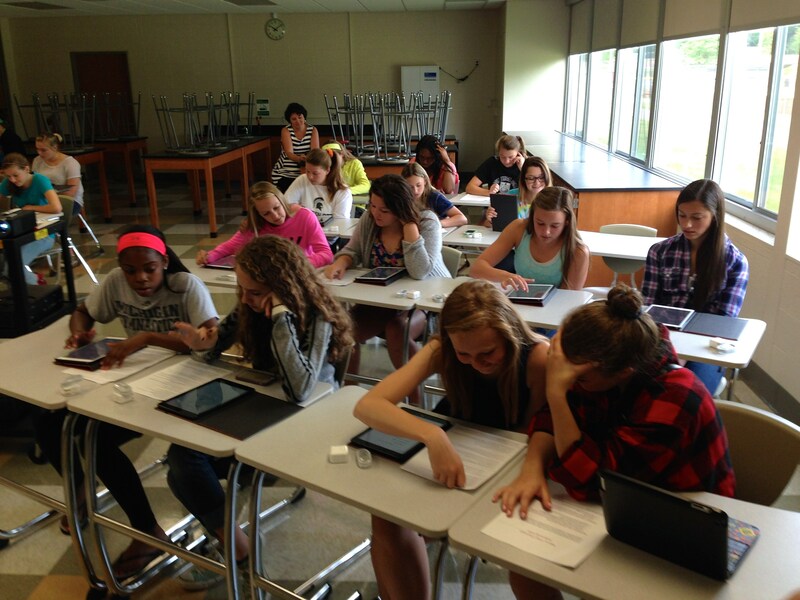 New students become acquainted with their iPad Airs. Schoology is the new learning management system for Mercy. Most of our assignments and resources are pushed to the students online through this system. Since it is new, many teachers dropped in for work sessions on Schoology and 1:1 help offered by colleagues Angela Harris, Eleasha Tarplin, Lauren Marquard, Joe Gerardi, Larry Baker, Tom James, Lisa Robinet, Susan Smith, Alison Kline-Kator, and Jan Wampuszyc. Several iWizards assisted with the iPad deployment, but twenty-five of them will be leading the two and a half hour iPad orientation on Friday, August 15. The sessions will include…. The iWizards chose the topics, designed the instruction, and created the materials for this session. They are eager for Friday to come! All of these activities exhibit the generosity of spirit one finds at Mercy High. Three helpful iWizards wait in the wings at iPad deployment.